Welcome to "Travels With the Diva", a newsletter for women who love to travel! In this issue, we'll talk about Learning Vacations - it doesn't sound very exciting, but it's a great way to take some "me" time and broaden your horizons. I'll also tell you a little bit about TripDiva Travel, and give you a chance to participate in the website by adding your travel stories or trip reviews. Would You Shower on a Plane? With all of the cutbacks in the airline industry, I guess we have to be glad that some airlines are still looking out for their passengers. Emirates Airlines is introducing new planes with showers in their first-class bathrooms! I've taken my share of flights that were 20 hours or more, so I can relate to the need for this. And a lot of airlines already have seats that fully recline to beds (with privacy panels) in the first-class sections of overseas flights. Why not wake up and take a shower? An online poll by The Business Traveller found that 65% of respondents would take advantage of this feature. But with other airlines charging up to $50 for checking a suitcase (Delta just doubled the price for a 2nd checked bag) - how can they justify carrying all that extra water? The term "learning vacation" doesn't sound all that exciting. Compared to lounging on a beach or touring Paris, it may seem a bit bland. But who doesn't need a little "me" time once in a while? And sometimes you just want the time to indulge in a favorite hobby or activity at your own pace. Learning vacations are great for solo travel - you'll meet new people in the class or retreat you attend, but you can also spend a lot of time on your own terms. But if you have a friend who shares your passion, attending the class together can be a lot of fun, too! The term "learning vacation" was originally applied to summer courses at colleges and universities, aimed at adult students who are not necessarily seeking a degree. Cornell's Adult University offers a wide variety of college-type courses in an abbreviated schedule. Their week-long courses range from history and politics, to writing, sculpture, photography, Jane Austen and Shakespeare, wine, rowing, and horseback riding clinics. A learning vacation can also be a volunteer vacation. Participating in an archaeological dig is a good example. I have a degree in Cultural Anthropology and took courses in Archaeology, but never went to a dig. It's something I'd like to try sometime, but not for an entire summer! There are a lot of colleges that could use some help with their research programs, and you can pitch in and learn a bit about the site and its ancient inhabitants. You'll be doing the "grunt work", but if you're interested in ancient peoples, it's fascinating work. Check with your local university or community college if you don't want to travel, but to really indulge in any program and avoid distractons, stay in the dorm or a local hotel. Or search the web for a topic you're interested in, and see if there is a college offering a summer program in that topic. You'd be amazed what's out there! Whether your passion is fine art or simple crafts, there are retreats and workshops that allow you to focus on your work and expand your skills. Some of these are held at colleges (like Cornell), but others are arranged by teachers or suppliers. One of the best places to search for workshops is Shaw's Guides. Whether you want to study sculpture in Italy. painting in Provence, watercolor in Maine, or attend a jewelry retreat in Wisconsin, you'll find it in Shaw's Guides. They also have writing workshops, photography workshops, and wine appreciation and cooking classes held throughout the U.S. and around the world. If your passion is photography, you might consider Cruiswest's Photography cruises (in partnership with Pentax). The photography sessions are free of charge, but are only available on select cruises - you can contact me for more information. I'd be happy to help. Write a Review or Tell us Your Story and get a T-shirt! Have a great travel story, or know of a good restaurant somewhere that you want to tell everyone about? Send it to us using our contact me page. You can tell us about a great experience, funny story, fascinating destination, or whatever you want to share. Tell us about your last trip - where did you go, what did you do, what was great about it, what would you avoid next time? If your story or review is published, we'll send you a TripDiva T-shirt or mug with the Hula Girl logo. This doesn't have to be professional quality writing - just share your experiences! We want to hear them! TripDiva Travel is a home-based travel agency, associated with Dugan's Travels (a nation-wide group of over 500 agents). 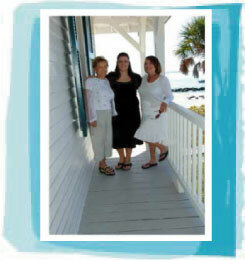 TripDiva specializes in great vacations for women (hence the website domain, www.great-womens-vacations.com). Some of the vacations we talk about are for women only; most are not (so if you see something you would like to explore with your husband or significant other, you can do that, too). But women's vacations tend to be a bit different than most couples or family vacations. They're a bit "smaller" in scale, allowing for interaction and connections with your fellow travelers and companions. It can be hard to get to know people on a large cruise ship; there are just so many of them! On a small ship cruise, there are no more than 200 people on board and you can make many new friends, or have a nice conversation with your travel companions without shouting over the crowds! The vacations we look for are focused on experiences, not destinations (although there are a lot of great destinations, too). Would you like to learn to paint or speak Italian, join a cooking class or just learn to enjoy fine wine, take a tour that lets you get close and interact with the locals instead of just passing by an historical site while riding a bus? Those are great women's vacations. At www.great-womens-vacations.com (or www.tripdivatravel.com - it will get you to the same place), we try to give you the tools to find great vacation experiences and contact information to book your trip. We will be adding a booking engine (via Travelocity), so you can book air and hotels, if needed; or you can simply contact us and we'll help you arrange your trip. Stay up-to-date with the latest news from Great Women's Vacations by subscribing to our newsletter! Click Below! I promise to use it only to send you Great Women's Vacations.